TAMPA BAY IS RENOWNED FOR WHITE SAND BEACHES AND YEAR-ROUND SUNSHINE. BUT IT IS ALSO SYNONYMOUS WITH WORLD CHAMPIONSHIP FOOTBALL, HAVING HOSTED FOUR SUPER BOWLS WITH A FIFTH ON THE WAY. IT WILL NOW BE THE PROUD HOME OF TAMPA’S NEWEST PROFESSIONAL FOOTBALL TEAM. THE XFL WILL GIVE TAMPA’S LARGE BASE OF PASSIONATE FOOTBALL FANS A REASON TO TURN UP THE VOLUME TO A WHOLE NEW LEVEL. Marc Trestman, a former head coach in the NFL and CFL, where he was two-time Coach of the Year, has been named the headcoach and general manager of the new XFL team in Tampa Bay. 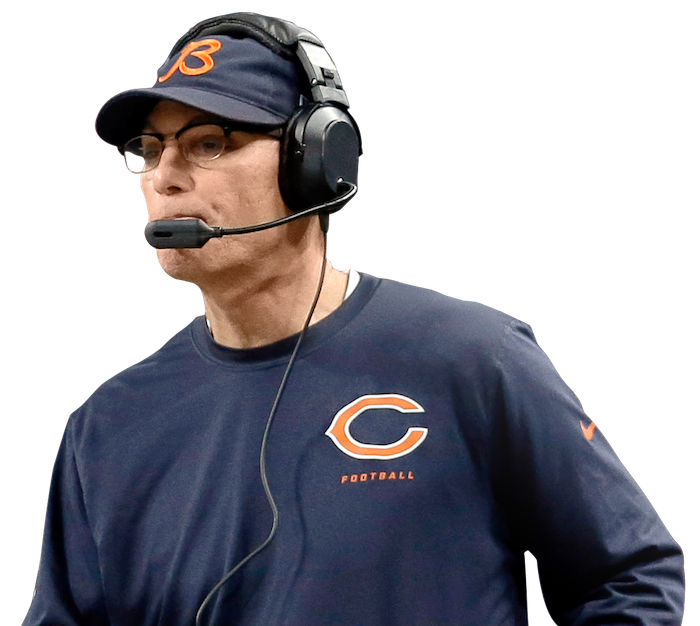 Over his 35-year career, Trestman has served in a variety of positions at the major college and pro levels, including headcoach with the Montreal Alouettes, Chicago Bears and Toronto Argonauts. He won the CFL’s Grey Cup three times, twice leading the Alouettes (2009 and 2010) and once guiding the Argonauts (2017) to championships. Trestman joined the NFL’s coaching ranks in 1985 as the Minnesota Vikings running backs coach. In 1987, he became the quarterbacks coach of the Tampa Bay Buccaneers (1987), and later held that position with Minnesota Vikings and Detroit Lions. He served as offensive coordinator and quarterbacks coach for the Cleveland Browns, San Francisco 49ers, Arizona Cardinals and Oakland Raiders. Trestman’s NFL coaching career also includes a season as assistant head coach for the Miami Dolphins, and two seasons as offensive coordinator of the Baltimore Ravens. In his rookie year as head coach of the Bears the team finished second in the league in scoring, fifth in offensive yardage, and broke team records in total yards, passing yards, passing touchdowns and first downs made. Trestman will be making a return to coaching in Tampa Bay to build the new XFL team, leveraging his three decades of coaching experience in the NFL, CFL and at the college level. Trestman is an offensive-minded coach whose style will fit the up-tempo, fast-paced game we will deliver to fans when the XFL launches on February 8, 2020. After you purchase a season ticket deposit, we will notify you when the deposit can be applied to purchasing tickets at Raymond James Stadium. Season ticket deposits are non-refundable. 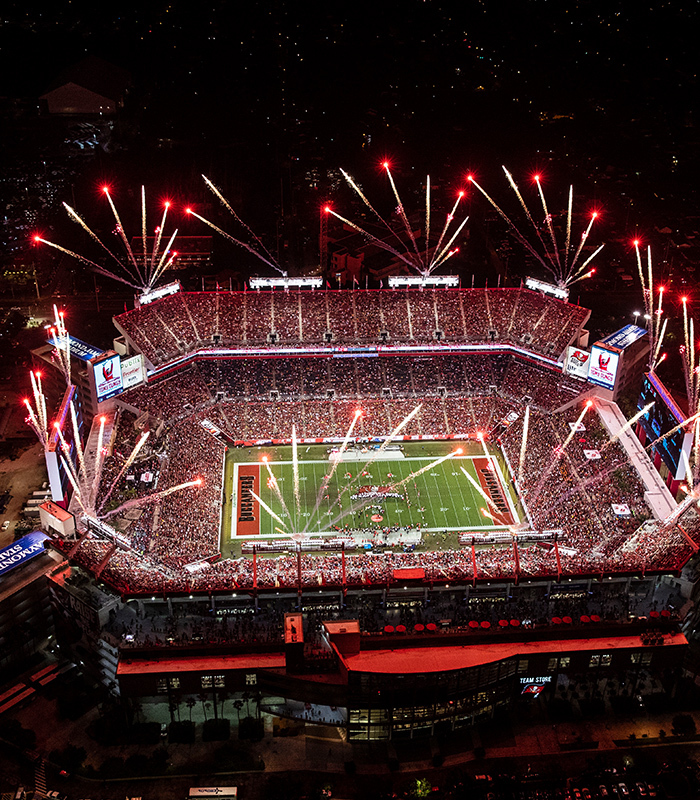 Raymond James Stadium has consistently received accolades from members of the NFL Players Association, often referred to as the “crown jewel” of the NFL. Home to the Tampa Bay Buccaneers, the stadium holds 65,000 and features an iconic pirate ship that comes to life with cannon fire. Raymond James Stadium boasts the most technologically-advanced HD video system in use today, comprised of two massive 9,600 square-foot boards and a sound system with 400+ speakers. Raymond James Stadium will be the home of Tampa Bay’s XFL team. We've announced our new XFL team in Tampa Bay, and in the coming months we will be developing teams, hiring coaches and players. Let’s build this team together!